Five thousand years ago, Krishna, the eighth avatar of Lord Vishnu was born on the Earth to destroy all evil. 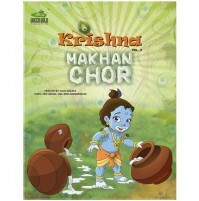 Born to Devaki and mothered by Yashoda in Gokul, Krishna was a lovable and mischievous child. Due to the constant disturbances by demons in Gokul the elders decided that they should move to a safer town, Vrindavan. 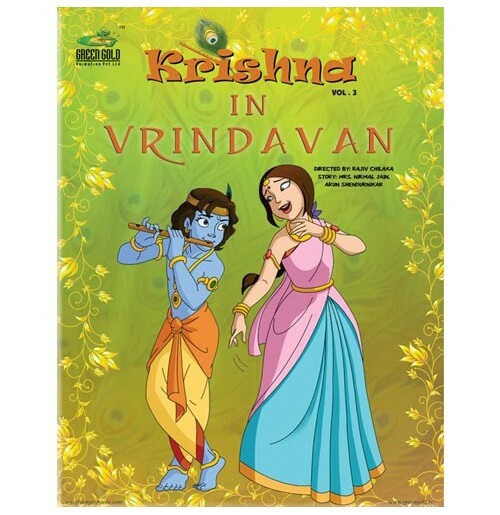 Krishna and his friends meet Radha in Vrindavan and soon the children are back to their usual mischief and fun. Krishna now a fine 13-year old, along with Balram, Radha, Udho and Madho, encounter many demons while exploring the beautiful Vrindavan. Playing in the fields one day they come across a huge bull Vatsasur who is a demon in disguise. Unaware of the danger, the children innocently challenge Radha to ride it. 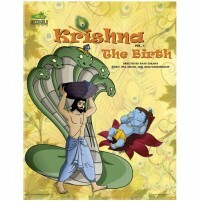 Another day at the lake, Krishna is carried away by a giant demon crane Bakasur, who takes him to his nest, while Udho, Madho, Balram and Radha run to the village in horror.The adventures of Krishna and his friends in Vrindavan is filled with action and excitement as they discover new forests and face new demons. All through these fun adventures Krishna and his friends are challenged by demons who are finally destroyed by Krishna and Balram.